Guard LiAngelo Ball, forwards Jalen Hill and Cody Riley, head coach Steve Alford and athletic director Dan Guerrero addressed the media Wednesday in a news conference about the shoplifting incident in China last weekend. Everyone read a prepared statement and did not take questions. 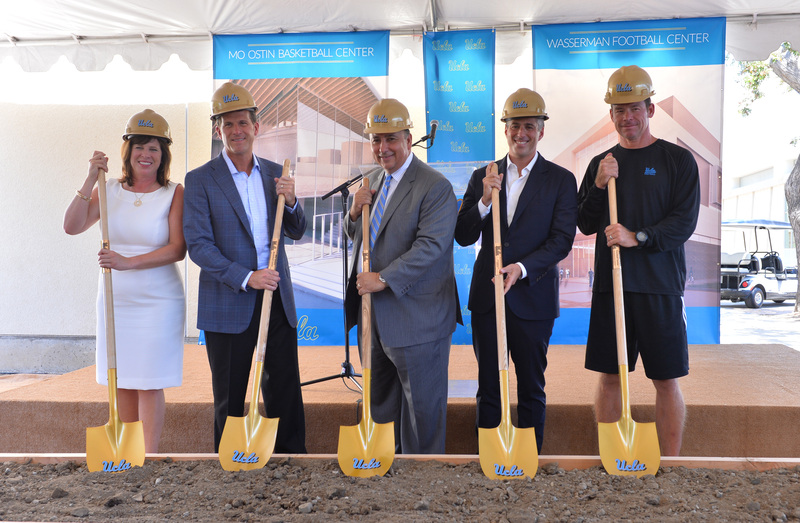 With new football and basketball facilities opening on campus this year, athletic director Dan Guerrero moved up one spot in the Southern California New Group’s list of the 50 Most Powerful in SoCal Sports. Guerrero, ranked 23rd this year, leads a group of UCLA figures on the annual list. 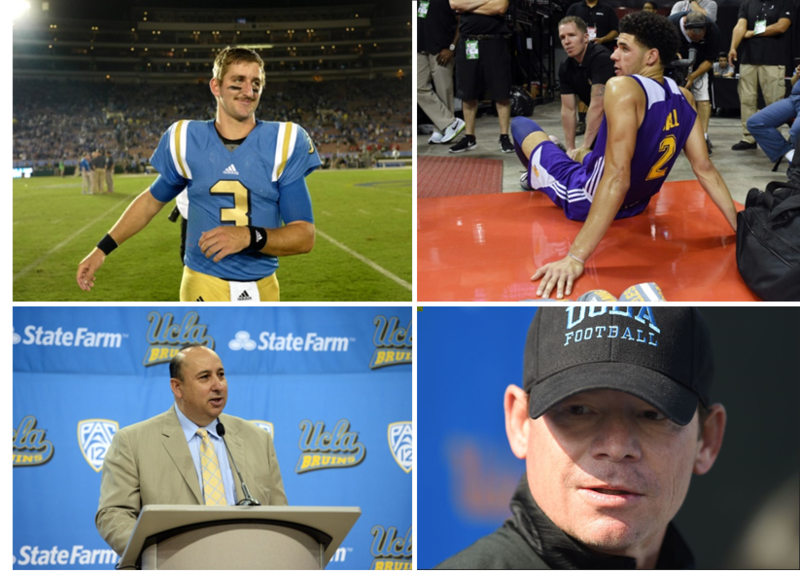 The Southern California News Group is continuing its list of the 50 most powerful people in Southern California sports, and UCLA athletic director Dan Guerrero is the latest person with UCLA ties to make the cut. Guerrero checks in at No. 24 this year, moving up four spots from his No. 28 position last year, after overseeing major construction on athletic facilities this year. UCLA athletic director Dan Guerrero “did not vote the way he was supposed to vote,” in the decision that banned satellite camps earlier this month, Pac-12 commissioner Larry Scott told Fox Sports’ Stewart Mandel at the annual College Football Playoff meetings on Wednesday. Larry Scott confirmed that 11 of the 12 Pac-12 schools did not support a satellite camp ban. Would not say the 12th, but, now you can guess. Guerrero, on behalf of the Pac-12, voted in favor of banning the camps, thus prohibiting coaches to participate in camps outside of their own practice facilities. The vote passed 10-5, with the votes from the five power conferences counting twice. 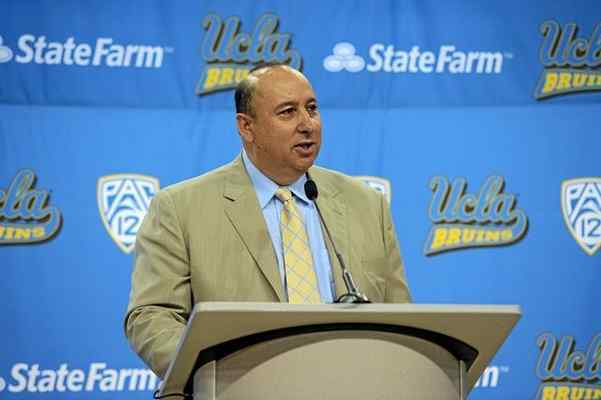 After one of the most disappointing men’s basketball seasons in recent memory, UCLA athletic director Dan Guerrero responded today to fans who have called for him to fire head coach Steve Alford. “I believe that those that want a coaching change are not going to be happy no matter what I say,” he said. “I believe that others who may be disappointed in the season will understand what UCLA’s all about. We’re not all about a coaching carousel every two or three years. We’re about building a program and doing our best to build our program the right way.